Alexis Bledel is an actress with an estimated net worth of $9 million. She is not only an actress but model and a producer as well. She is famous for her roles in the Gilmore Girls TV series, as Rory Gilmore (a daughter of a single mother) and in Sisterhood of Traveling Pants movies as Lena Kaligaris. Bledel has also had roles in films including Tuck Everlasting, which happened to be her debut film, Sin City, Rushmore and in I'm Reed Fish. In itherTV series, she has featured in ER, Mad Men and played the lead role in Us & Them. Alexis Bledel was born on the 16th of September, 1981 in Houston, Texas. As a child, her parents encouraged her to overcome shyness by trying community theater and later on she appeared in local productions such as The Wizard of Oz and Our Town. She then worked as a fashion model before joining Page Parkes Center of Modeling and Acting. 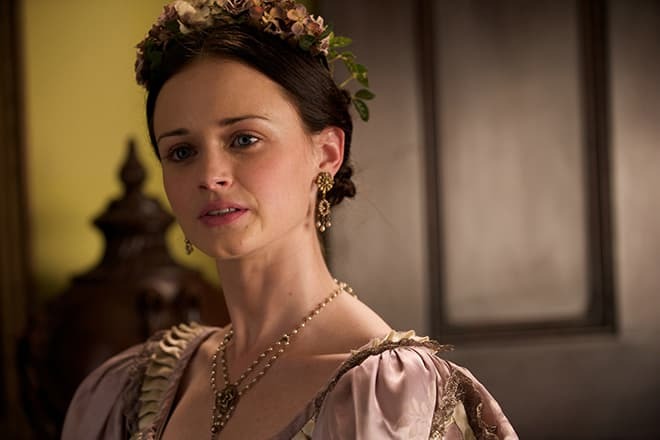 Alexis Bledel has won Young Artist Awards, Family Television Awards and Teen Choice Awards. The below financial data is gathered and compiled by TheRichest analysts team to give you a better understanding of Alexis Bledel Net Worth by breaking down the most relevant financial events such as yearly salaries, contracts, earn outs, endorsements, stock ownership and much more.